The Union government on friday submitted before the Supreme Court that the tax payers had a right to know the quality of judges appointed to the higher judiciary. "A tax payer may say that I pay your (judges) salaries, I have a right to know who is going to be a judge," Attorney General Mukul Rohatgi told the constitution bench comprising of Justice Jagdish Singh Khehar, Justice J. Chelameswar, Justice Madan B. Lokur, Justice Kurian Joseph and Justice Adarsh Kumar Goel. Continuing his attack on the "nepotism" in the collegium system, he said that "a judge who has given not more than 50 judgments in 15 years during his stint with various high courts can't be elevated to the top court". Citing the case of a judge who left hundreds of judgments reserved across various high courts and never pronounced them, Rohatgi said: "It is collegium that gave him laurels after laurels and brought him here (apex court) and sent him to NHRC (an apparent reference to the apex rights panel's acting chairperson Justice Cyriac Joseph)." "It is a case of nepotism," he said as the bench reminded him that only on Thursday he was advocating giving women, SC/ST, weaker sections and minorities a voice in the National Judicial Appointments Commission under the eminent persons category, thereby indicating that the judge in question came under those considerations. Apparently contending that blame for some questionable appointments could not be laid at the doorsteps of collegium alone with the government washing its hands, Justice Khehar asked: "Did executive (government) object to it? The recommendation did not come from the NHRC but from the government." "One case can't be a basis to read a rule to hammer the entire working of the collegium system," the court said as the Attorney General went on assailing the manner in which appointments were made in the past. As a judge on the bench pointed out that the judge in question had pronounced 219 judgments during his stint with various high courts, Rohatgi contested this, saying he had pronounced only seven judgments out of which two were concurrent and he can produce records to support his claim. Advocating a criteria-based, transparent system of appointment, Rohatgi said such undeserving appointments would not pass through the NJAC and that the manner in which the collegium sends recommendations is "not worthy of acceptance". "The shroud of mystery that the collegium system had can only be lifted by the NJAC," he contended, adding that under this, an underperforming judge cannot be made chief justice. Addressing the court's apprehensions that disclosure of information under RTI would make the job of selecting judge by the NJAC difficult, Rohatgi argued that it may not be necessary that all the information relating to the appointment of judges needed to be disclosed under the transparency law. Urging the court to give a "purposive" interpretation as to what two eminent persons in the NJAC would mean, senior counsel K.K.Venugopal urged the court not to strike it down as such a course would reduce the NJAC to the collegium level with the CJI, two other seniormost judges and the union law minister. Appearing for the state of Madhya Pradesh, he asked the court to "put whatever limitation that may like to impose on it". 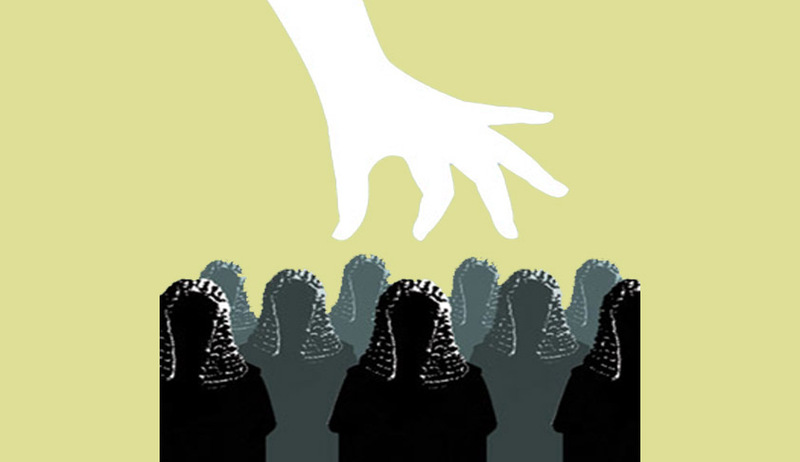 The bench headed by Justice JS Khehar said the collegium system would be revived automatically if the 99th Constitutional Amendment — which ended judicial monopoly over appointments to higher judiciary — and the NJAC Act fail to pass the test of law. Seeking to substantiate its pitch that the collegium system would be back, the bench recalled the cases of constitutional provisions which were changed through the 39th and 42nd constitutional amendments. The old provisions came into force soon as the twin amendments were struck down. To this Rohatgi replied : "Even if NJAC is quashed what is dead cannot be revived. You cannot go back to the old system. There is no question of automatic revival of the old system and Parliament will sit again to re-legislate." He also said, "The original article 124 has now disappeared from the Constitution. It is dead, buried and gone forever. It cannot be resurrected. It won't come to life even after this bench quashed the amendment and holds that NJAC is unconstitutional." Supporting the Centre's contention, senior advocate KK Venugopal said that the Constitution-makers had not given exclusive power to the judiciary to appoint judges. He said before the collegium system was introduced in 1993, it was the government which used to appoint judges and some of the best judges of SC were appointed during the pre-collegium era. "In India, it is myth to say that if judges are appointed by the executive, they would be loyal to the government. The most powerful judges who ever existed in the country were appointed by the executives," he said. Hearing will continue on Monday. Earlier on Thursday, the Supreme Court had questioned the Centre over the lack of provisions in the law for removal of two eminent persons from the six-member National Judicial Appointments Commission (NJAC) and asked whether there was any scope for judicial review of their selection. “These eminent persons would be there for three years. How will you remove them? Therefore, the selection of eminent persons to the Commission has to be unquestionable process or there should be a process of removal,” a five-judge Constitution Bench, headed by Justice J S Khehar, said while hearing petitions challenging the validity of the NJAC Act. The apex court’s observation came after Attorney General (AG) Mukul Rohatgi started advancing arguments on the manner of selection and the roles to be played by two eminent persons on the six-member NJAC. The AG, while defending the provision for the presence of two eminent persons on the NJAC including one from women, weaker sections, SC/ST and minorities, advocated greater representation of women on the Benches of higher judiciary keeping in view their increasing presence in the bar. Trying to lay stress on the apprehension that the two eminent persons, without any rooting in judiciary, would in no way contribute to the appointment of good judges, Rohatgi said that they represented the will and confidence of the people and would also act as a check and balance on other members. The Supreme Court also remarked that the rejection of an aspirant for appointment as a judge on the grounds of doubtful credentials could be disastrous with the NJAC coming in the ambit of the defamation law. The court expressed its reservations saying that it would be difficult to give an "honest opinion" as NJAC, being a public body and covered under the Right to Information law, its proceedings would go public. In an attempt to address the SC’s doubts, Rohatgi said let such a person not apply for the judge's job or there would be checks on the person writing the (NJAC) report so that he uses a temperate language. However, his suggestion to put the NJAC under RTI Act's section 8 that provides for exemption from disclosure of information did not find favour with the court. "That you can't do because your object is transparency," said Justice Khehar. Finding himself in a Catch-22 situation, the attorney general said: "Someone has to suffer for a larger good. There will be protection for public institutions."